Royal Gorge Route Railroad Review by Jennifer Andersen | Colorado Royal Gorge Santa Express: Worth the Trip! Colorado Royal Gorge Santa Express: Worth the Trip! Such a festive setting to enjoy the Holiday season! Wow, did we have an awesome weekend! Not only was it a long weekend, but on Saturday we ventured south to Canon City. This feels like a trek for Denverites, but one of the great things about those who move to Colorado is their sense of adventure and being up for making the trek. We were headed to The Royal Gorge Railroad where they are hosting their Holiday themed train: the Santa Express. We have been before at night and this year we wanted to see what it was like during the day. With cookies and hot cocoa for the kids and views for the adults, there really is something for everyone. As the train moves through the vastness of the gorge with the river next to you and sky above you, an Elf leads your car in Christmas carols, Santa Bingo, and fun Holiday jokes. In between entertainment and ordering food (there is a full menu and bar on board) you can take a walk to the open air car. From here, you can look straight up through the gorge and out along the landscape- where we were lucky enough to see deer, elk, and our first big-horned sheep! Feeling the crisp Colorado air move against you as the train runs along the river is invigorating. The ride itself is about an hour and a half long. At about the half way point the train stops under the Royal Gorge Suspension Bridge- this is great for those who want to see the bridge but may not want to walk across :) Before you pull into the station, Santa himself makes an appearance and visits with every child on the train. Each kiddo is given a piece of paper where they can write their letter to Santa and share it with him in person. A spot for photos with Santa before disembarking. A spot for photos with Santa before disembarking.Before Santa says good-bye to each child he gives them a bell from one of his reindeer (these have become ornaments on our tree each year). After he's gone, one of the helpers on the train comes to each child and offers to listen to the bell ring to distinguish which reindeer it came from. It's super cute. 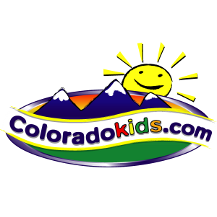 Here is more detailed info: The Santa Express Train is Colorado's favorite Christmas train. This 1.5-hour ride through Colorado's Royal Gorge to the North Pole is chock-full of holiday cheer, where children wear their pajamas, listen to Christmas stories, sing Christmas carols and enjoy homemade cookies and cocoa. Guests of all ages enjoy views of the Royal Gorge on the way to the North Pole, which is decorated like a true Christmas town, including thousands of holiday lights. Once Santa boards the train at the North Pole, children await their turn to share their holiday wish list and receive their very special Santa Express Train gift. It runs through the Royal Gorge this Nov. 18 through Dec. 24 up to three times per day. Skip the fast food on the way and eat local on the train instead for lunch or dinner. Plus, there's a fully stocked bar featuring local microbrews, libations and wine available on any class of service. For more information or to book tickets, call 1.888.724.5748 or visit royalgorgeroute.com, and royalgorgeroute.com/special-events/santa-express-train/ to read more about the Santa Express ride. My family will continue to ride the Royal Gorge Railroad annually- our only tough choice will be whether to ride under the sun or stars. Click here for more details about the train and here for tickets and more information. My family and I received complimentary tickets for writing this piece. As always, I only share things that I think are awesome for families! Our Magical Ride on the Royal Gorge Santa Express in CaÃ±on City, CO.
Visit the Santa Express Train in Canon City, CO! Must Take Your Kids on the Santa Express! All aboard the Santa Express Train!